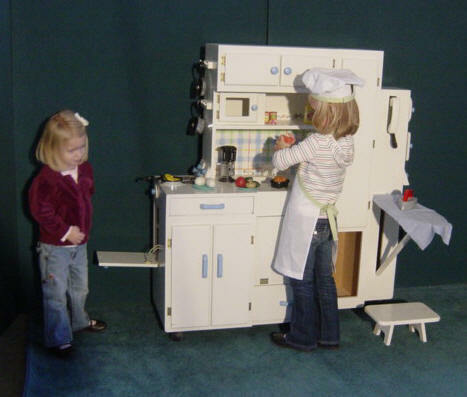 Got a budding chef in the family? 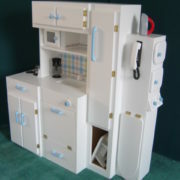 Have a little one who loves to play house? 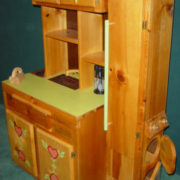 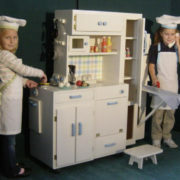 Then you’ll love My Play Kitchen©. 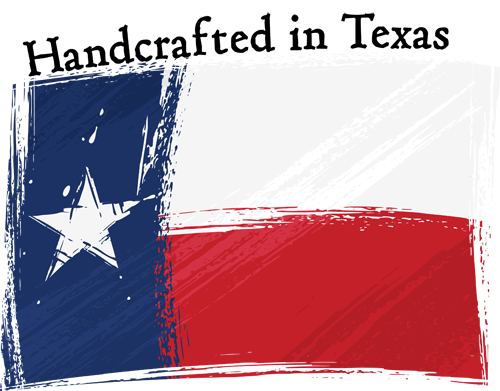 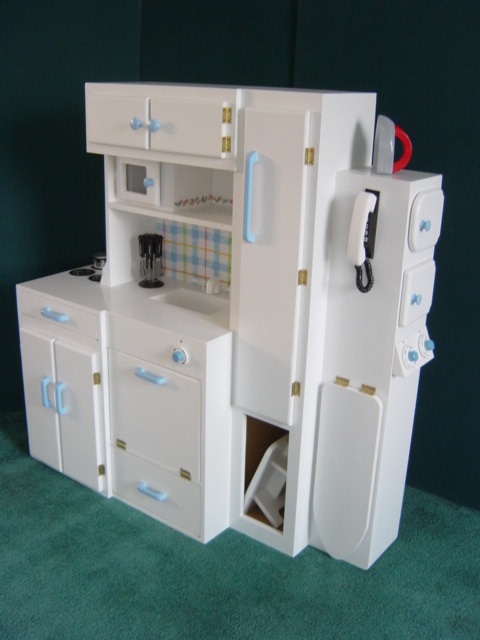 My Play Kitchen has it all – sink, oven, stove, washer, dryer, iron and ironing board, microwave, and lots of cabinets and storage space. 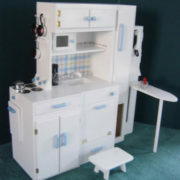 It even comes with a small step stool for those little chefs who need a little extra height. 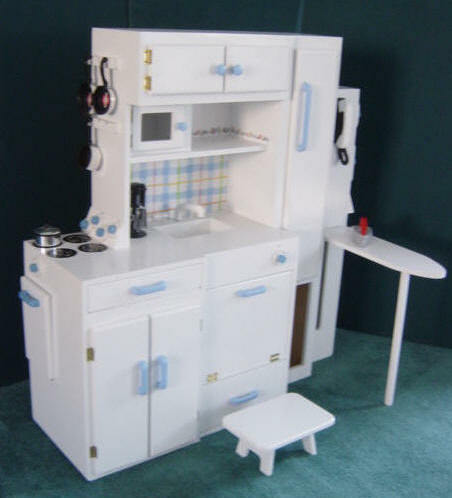 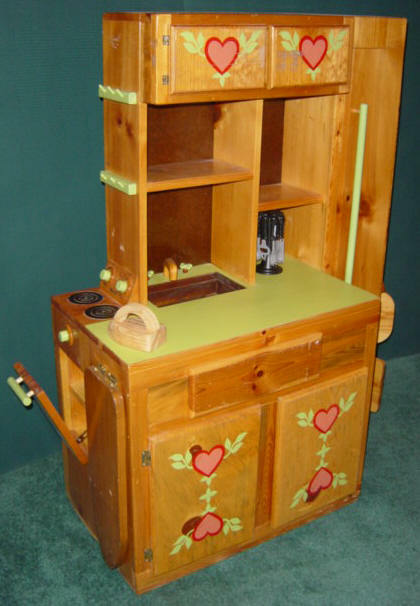 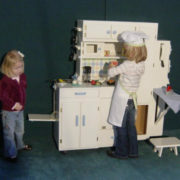 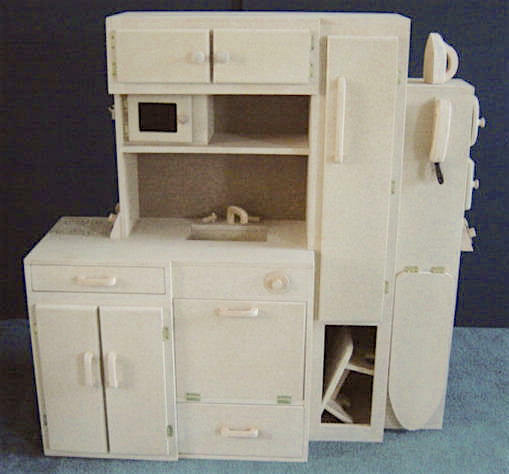 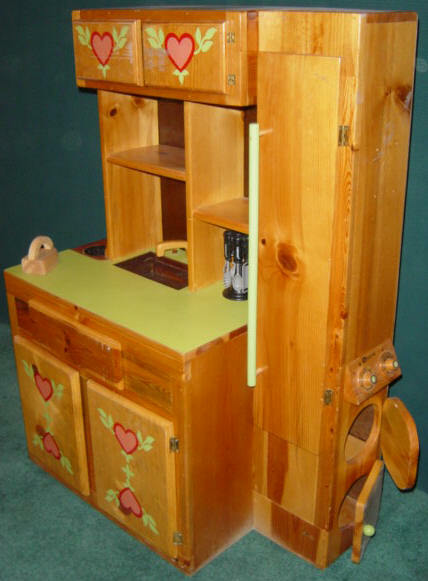 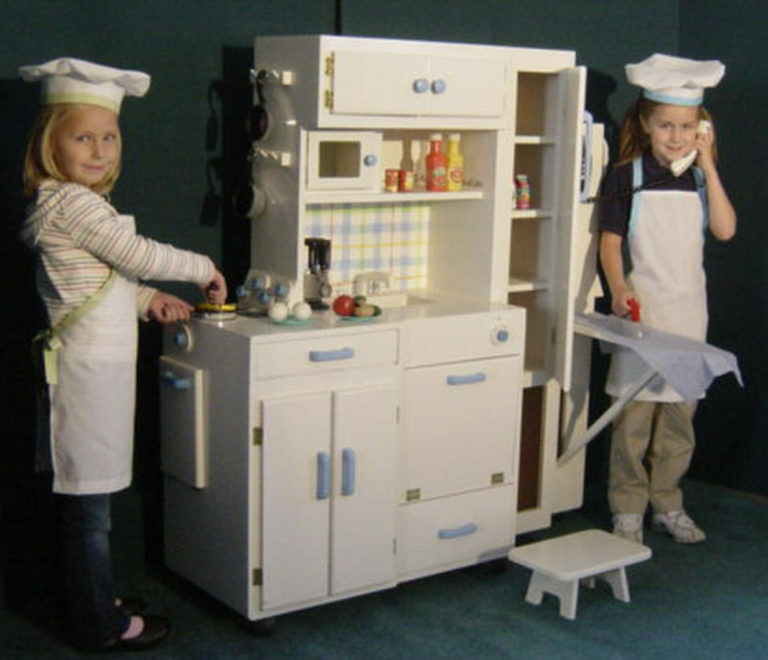 Built with the same high-quality materials and attention to detail as the Martin Dollhouse Collection©, My Play Kitchen is an heirloom that will be passed down from one generation to another. 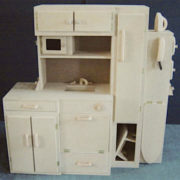 And because it comes as an unfinished kit, you can decorate it ultra modern or more traditional. 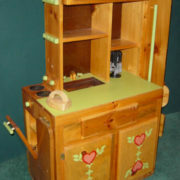 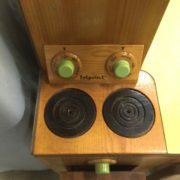 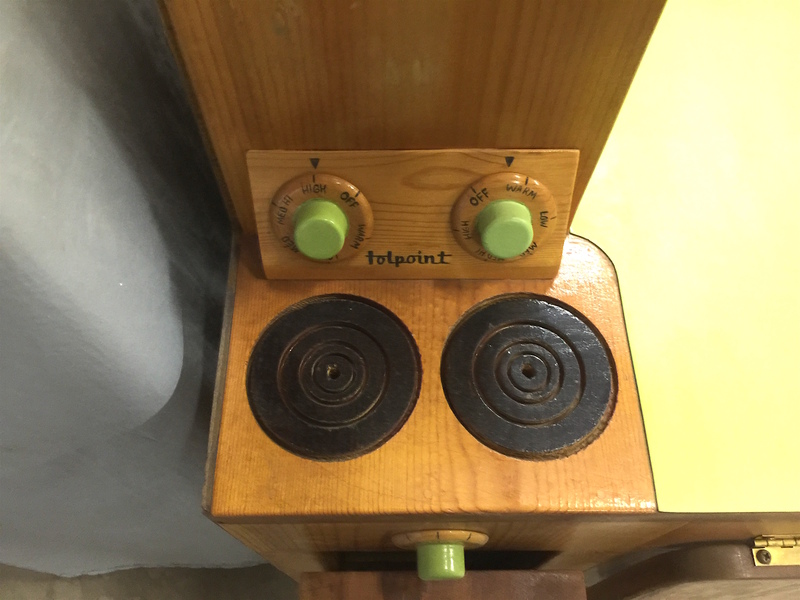 Designed for children 3 years and older.